Recently, I sold away my NEX-5 to upgrade to NEX-5N. On paper, it seems that the NEX-5N only has a few changes: Touchscreen input, 16.1 Megapixels (up from 14.2) and a higher burst/consecutive shooting rate. Using the camera however, tells a different story. I’m still using the NEX with manual focus lenses, after spending a year of experimenting and trading lenses with other photographers. My favourite is still the Carl Zeiss Planar 35mm f/2 – the illegitimate brother of the Leica Summicron-M 35mm f/2. What are the main changes? Clean and clear images, even above ISO-3200. The NEX-5 already had a great image sensor, but the 5N pushes low-light capabilities even further. The 5N has ISO range from ISO-100 to ISO-25600 (compared to ISO-200 to ISO-12800 in NEX-5). The refined sensor technology allows users to bump up their ISO sensitivity setting without worrying too much about the noise that comes with higher sensitivity. So yes, in low-light, forget about the Flash and turn up the ISO! Improved sensor design. 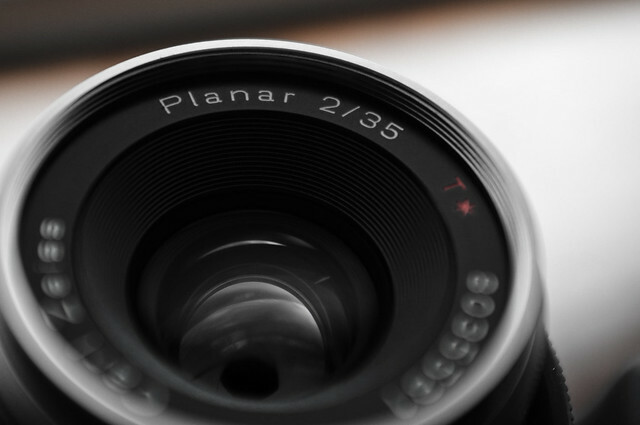 Apart from being less noisy, the new sensor has micro-lenses along the edges that would greatly help users with manual lenses, especially wide-angle rangefinder lenses. The 5N is capable of producing images with reduced vignetting and colour shift at the edges. The touch screen. Given how we’re so used to touch screen on our mobile phones, Sony has brought this feature to the excellent screens found on all NEX cameras. 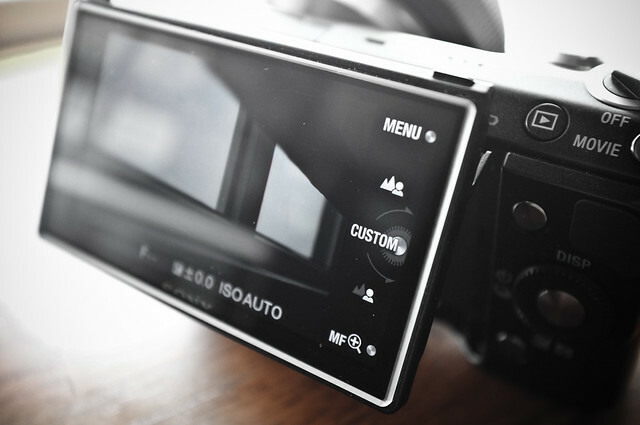 Touch input is exclusive to the 5N – the flagship NEX-7 cameras does not have this feature, but that camera really does not require touch input with all those dials and buttons. While touch input is handy, it does not completely replace the buttons and dial on the 5N. It does allow you to “touch to focus” (but not “touch shutter” though), but when you use a manual focus lens on the 5N, touching a section on the screen will activate manual focus assist! This is my favourite feature on the 5N. The shutter. My friends told me that the NEX-5 sounded crazy when I take photos. Yes, it has a noisy shutter, and it has to close and open twice for an exposure. The 5N has this “electronic first-curtain” which eliminates the first set of shutter curtain movement, hence producing a “click” instead of that “zha-zhak!” sound. Also because of this “front curtain”, the camera is capable of more rapid consecutive shots. The NEX-5N, is what I feel, the “iPhone 4S of NEX cameras”. Same exterior appearance, but several upgrades within. While 16.1 Megapixels may not look like a large boost from NEX-5, the sensor capabilities have improved tremendously over a year and some photography sites even claim that the 5N sensor is superior to some popular and recently released DSLRs. They have said similar things about the NEX-5, so I’m not surprised about this. NEX-5 users who are keen to upgrade (but decide not to move on to the NEX-7) should choose the 5N, especially if they are adapting legacy lenses on their cameras, to enjoy the full optical qualities of their lenses. 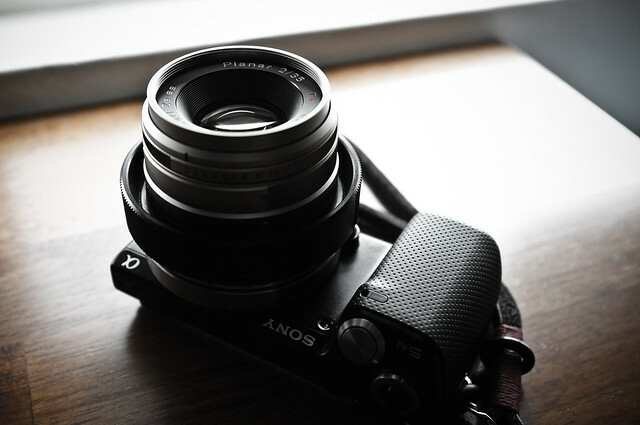 My lenses consistently outresolve the NEX-5 sensor, but perform better on the 5N, with reduced colour artifacts. I feel that NEX-5 owners should sell away their cameras before the NEX-7 launches in 2012. The usual popular camera stores in Singapore are selling the 5N at around the same street price as the NEX-5 back in 2010. Apart from that, the 5N is still easy to handle, and with the touch screen, will definitely cater to more users. I appreciate the responsive user interface and blazing operation speed – something the Fujifilm X100 has always lacked from day one. Even with manual focus lenses, it takes me a lot less time to take photos than with the X100. Sony has released new accessories for NEX cameras, including a lens mount adapter for A-mount lenses with phase-detect autofocus functionality (LA-EA2). The 5N also supports the expensive electronic viewfinder (Street Price about S$410) which is something I would love to use, but I’m definitely looking for it pre-owned. I think it would be great if Sony allowed users to create lens profiles (just names and simple specs) so that information from manual focus lenses can be saved into EXIF data. Or something like a Manual Focus Assist Toggle mode – viewfinder always at magnified mode, but switches to full view when shutter button is half depressed. Perhaps implementation of “touch shutter” in iA mode? And of course, the ability to set ISO sensitivity in 1/2 or 1/3 stops. Now it’s time to take the camera out for photo trips!